Prepare Your Heart Now. These Beautiful Winter Scenes Will Be All the Inspiration You Need to Find Your Next Winter Vacation Destination. It may seem too early to heat up the hot chocolate and dig out the fuzzy socks and mittens. Summer is just now coming to an end and rainbow leaves have yet to fall and clothe our sidewalks. There is quite a while before snowflakes will show their face, but it’s never too early to dream about the winter wonderland that is approaching. These images and descriptions of winter scenes from around the world will have you longing for the chilly months to come. If your mind has been dreaming of where to adventure to this winter, look no further than these white winter scenes to give you inspiration. Heat up the kettle with hot water and make yourself a cup of steamy tea. 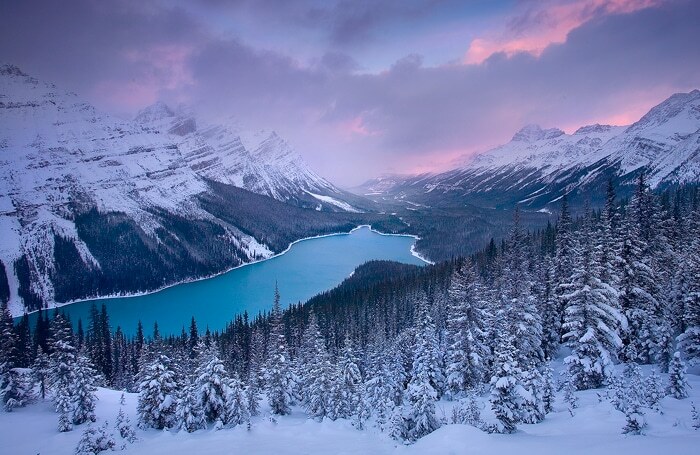 Let’s take a journey around the world to uncover the most beautiful winter wonderland locations. Travel inspiration is sure to rise in you. 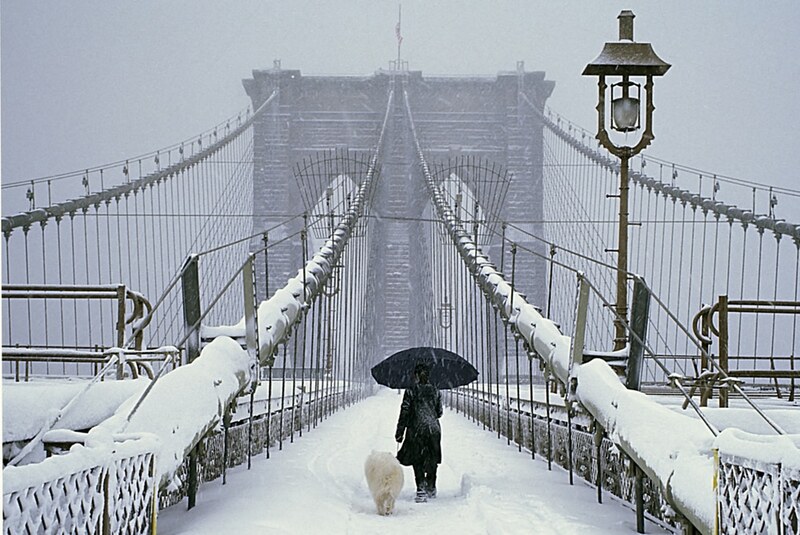 Some argue that during the winter months is the best time of year to travel to New York City. Ice skating at The Rink at Rockefeller Center, throwing snowballs in Central Park, strolling down the white streets of NYC, watching fresh snowfall dress the Brooklyn Bridge with beauty. If you are up for it, there is also always the excitement of spending New Year’s Eve in the Big Apple too. Oh, NYC, it is a treat to see you in the winter. If you want breathtaking winter scenes in a place rich with activities to do and sights to see, New York City is the answer. Tallinn is the capital and largest city of Estonia. 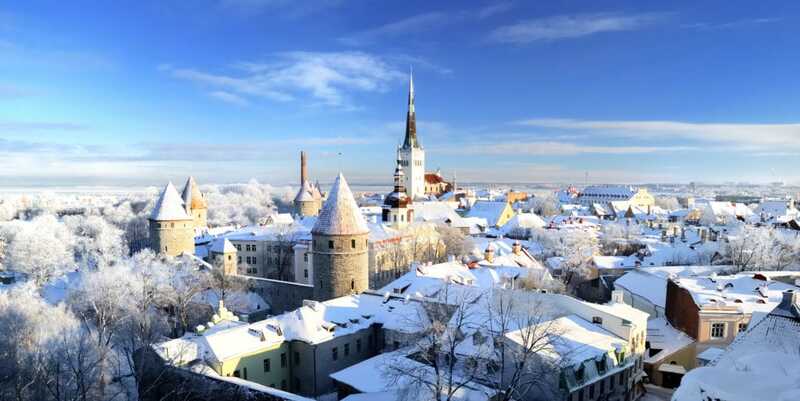 In the winter, visiting Tallinn is to step into the storybooks and visit a medieval winter fairy-tale land. Tallinn Old Town becomes virtually empty between November to February, so travelers hoping to enjoy peace and quiet while taking in the beauty of this snowy fairy-tale town can do just that. Tallinn will be the quiet you need to hear ever sprinkle of snowflake hit the ground. Ice skate on Lake Louise, observe the amazement of a frozen waterfall, buckle your boots into skis and glide down the mountain, go dogsledding, attend the Ice Magic Festival in Lake Louise, visit the Banff Upper Hot Springs, and more! For those who long to play in the snow and take advantage of all of the winter activities offered during the season, Banff National Park in Canada will be your kind of location. See the beauty and be immersed in the beauty while in Banff. Another winter fairy-tale destination. Lake Bled is picturesque and waiting for you to admire its scenic beauty. 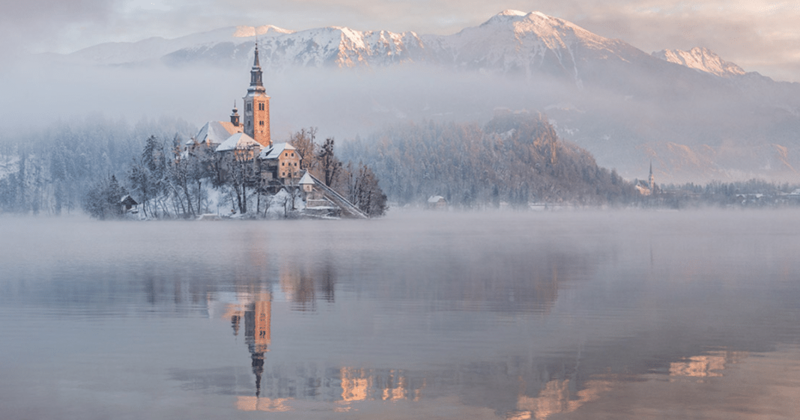 The winter months bring silence and splendor to this lake location in Slovenia. There are snow capped peaks, glorious sunrises and sunsets that reflect off the water, and many winter festivals that are held in December and January. Perhaps your trip to Lake Bled will overlap with one of these festivals. London is always a good idea. Museums, galleries, restaurants & pubs, and endless cups of tea and scones can be found here. 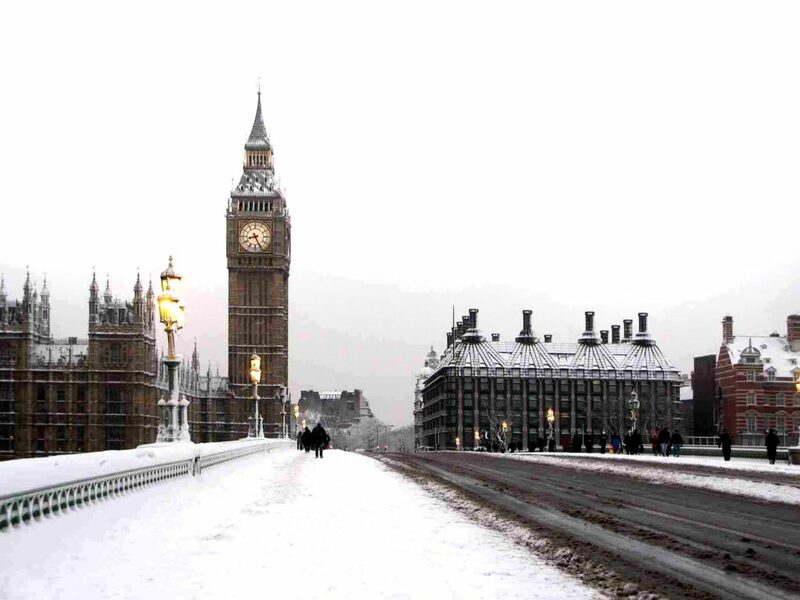 The city is alive and we particularly enjoy seeing London with white snow dusting the ground. There are many festive things to do in London during the winter months and the winter scenery is sure to lift your spirits. 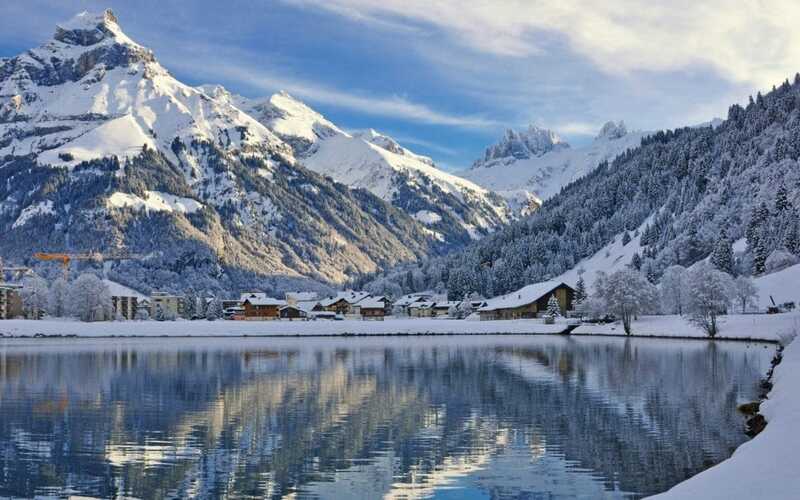 It should come as no surprise that Switzerland offers some of the best winter scenes in the world. The country is truly the perfect destination for a winter adventure. There is snow skiing, snowboarding, snowshoeing, tubing, sledding, and more on these mesmerizing mountains. Even if you aren’t into winter sports, the Swiss Alps can offer you a view of its beauty from behind the window of your hotel, a coffee shop, or the lodge just as well. You are certainly welcome to snuggle in with a tall mug of hot chocolate and stare out the window at the amazement that is the Swiss Alps. Whether you wish to adventure outside in the snow, or sit inside and admire from afar, Switzerland offers winter scenery that is unmatched. Travelers flock from all over the world to witness the extravagance of Niagara Falls, one of the world’s greatest waterfalls. The summer months are particularly busy, but we find Niagara Falls to be a spectacular winter destination as well. The mist from the falls is picked up by the wind and turns to ice when it collides with nearby walls, trees, and posts. The natural wonder of it all is enough to leave you speechless. 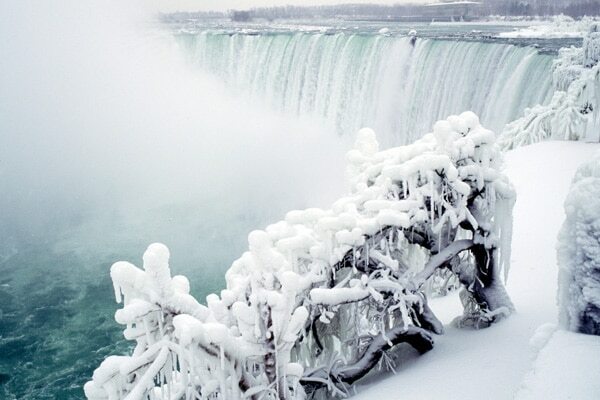 Though a winter in Niagara be chilly, the falls are ravishing in the winter months. Cappadocia is most famously known for its hot air balloons. 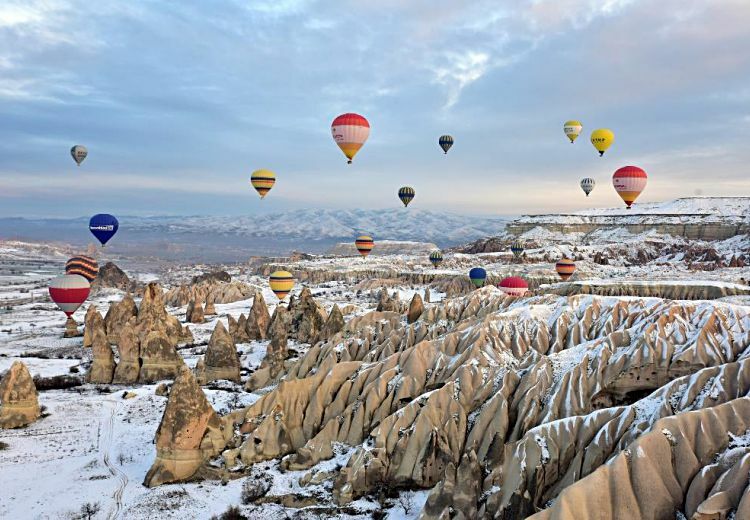 This city in Turkey is a hot spot for hot air balloon rides in the summer, and in fact, in the winter as well! Because of high winds, there are days when companies cancel their hot air balloon rides, but if given the opportunity, we highly recommend riding up and getting a bird’s eye view of this winter wonderland. If a hot air balloon ride in Cappadocia isn’t on your bucket list already, we suggest writing it down. Maybe even in the winter to see the spectacular scene shown in the photo above. Come ski or come snowboard. Come play in the snow, build snowmen, or have a snowball fight. There is much to do in Queenstown, New Zealand in the winter months. However, be sure to remember when the winter months are in New Zealand. June to August is winter season in Queenstown. Plan your trip accordingly. But hey, New Zealand’s summer is not bad either. Any time of year will really suit you well in New Zealand. A true fairy-tale castle. Neuschwanstein castle is a masterpiece that rises high into the sky. On the way to your winter adventure at Neuschwanstein, you will journey through the German countryside. The drive is snowy and scenic and will prepare you well for the moment your eyes land on this massive castle. Walt Disney was even fond of Neuschwanstein. In fact, perhaps he was the castle’s biggest fan. Disney modeled Disneyland’s Sleeping Beauty Castle after this very one! 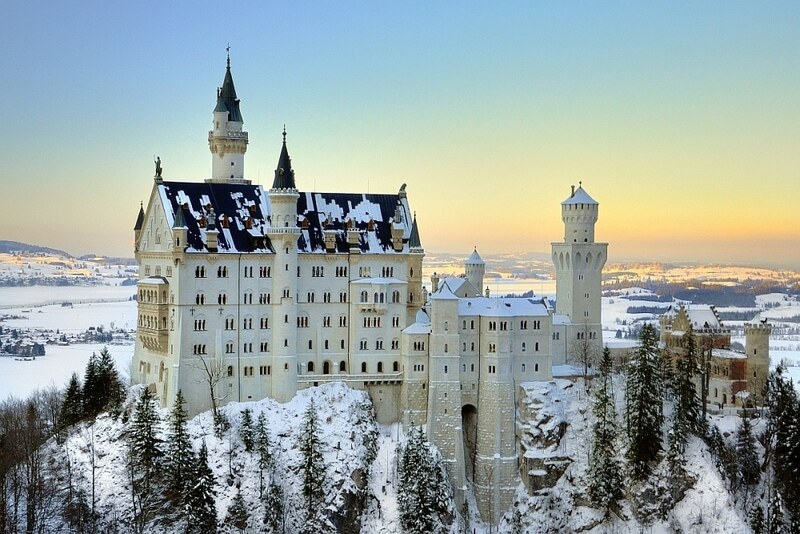 It ranks #1 on our list of the most beautiful castles to be found in Germany. 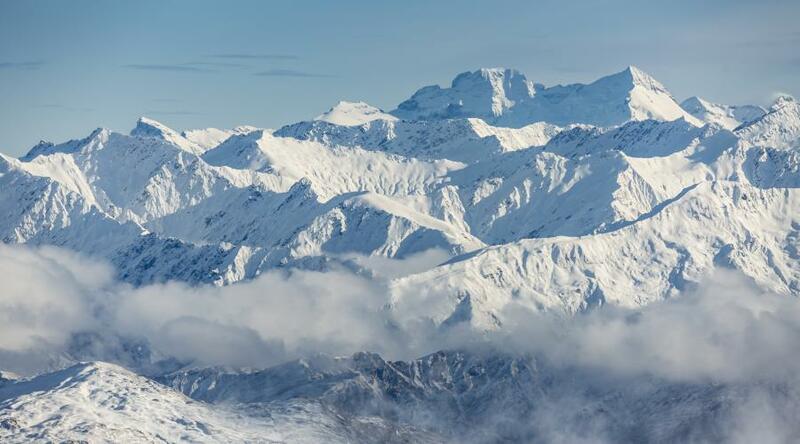 Mountains, mountains, and more mountains – all wearing the freshest of snow. Ah, Norway, you never fail to provide the most majestic winter scenes. 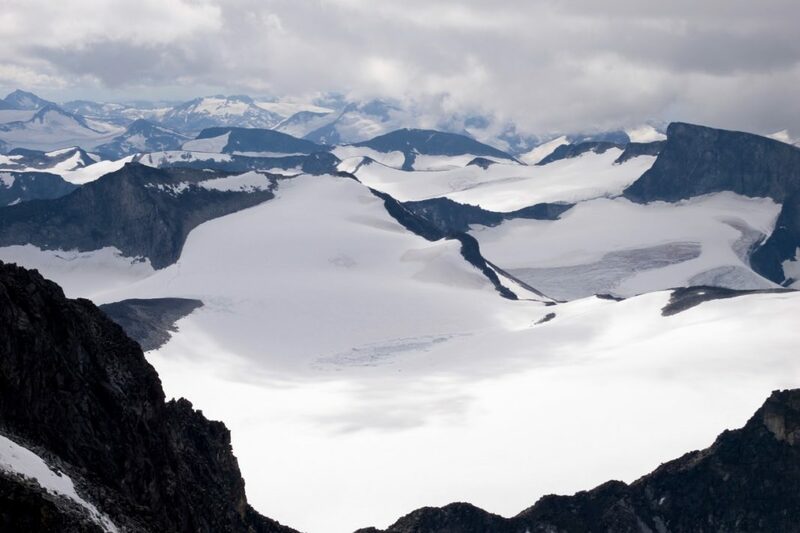 Jotunheimen, in particular, is a rather undisturbed mountain area within Norway. The National Park located in Jotunheimen makes for the perfect environment for cross-country skiing, alpine skiing, ice climbing, and more. 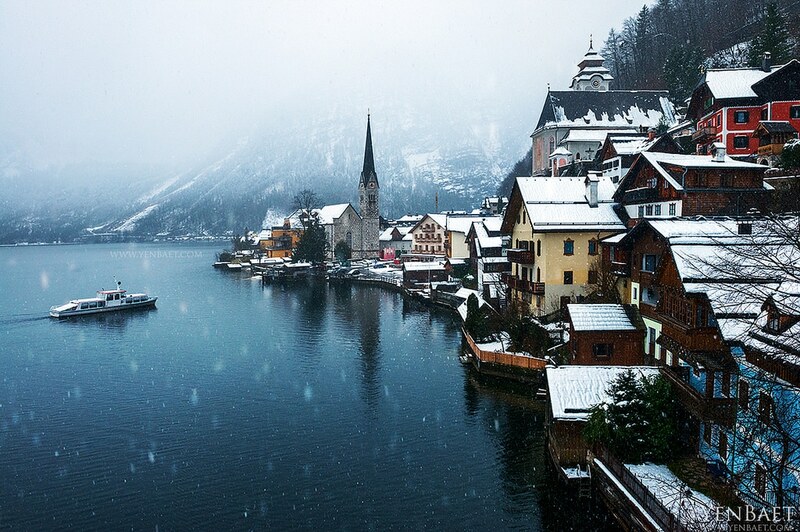 Watch snowflakes fall and pack onto the rooftops of Hallstatt. Or, try to catch a few snowflakes on your tongue while you wander the streets of this Austrian town. Between the snow-covered buildings, the navy blue water, and the mountains standing mighty and tall in the background, Hallstatt provides everything necessary for the ideal winter scene. Travelers will quickly fall in ove with how charming this town is and how beautifully it wears winter. The park’s mountains rise to over 15,000 feet and when covered in snow, they are a sight for sore eyes. Hey, even when they aren’t cloaked in snow, they are still a sight for sore eyes. In the winter months, the bay shines like glass and the whole winter scene looks too marvelous to be real. And yet, it is real. 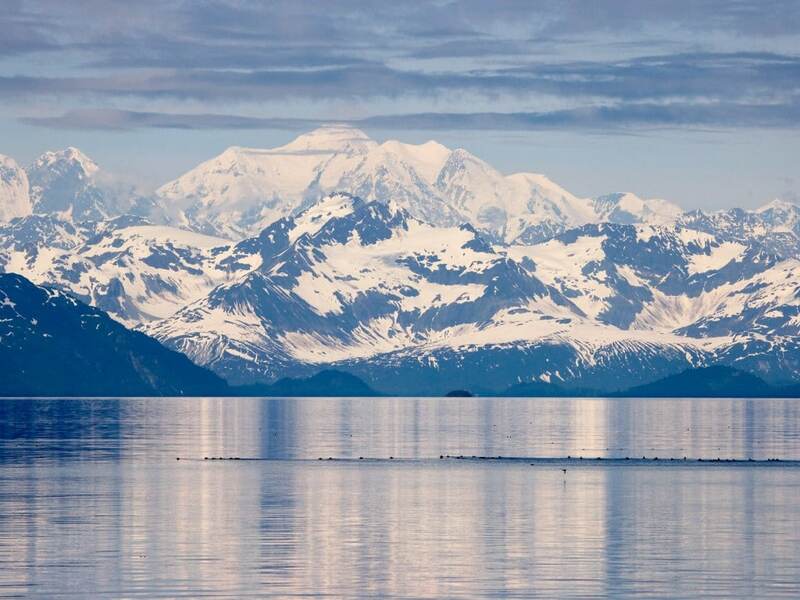 Photos of the mountains holding snow and the bay reflecting its image will be enough to inspire you to travel to Alaska for your next winter vacation. So, What Are Your Travel Plans This Winter? If only time would speed forward so we can behold these winter scenes right now. From snow covered mountains to white-coated city streets, we long to see the beauty of winter come upon us. Right now is the best time to be preparing for a next winter trip. How about vacationing at one of these winter wonderland locations? Pack your hand warmers and layer up because you’ll want to stay warm when adventuring to these chilly destinations. Though your fingers and toes may cry out for warmth when you are at each of these locations, your heart and your eyes will be glad to have witnessed such awe-striking winter scenes. Travel the world this winter to discover all of the most beautiful, snowy, and dreamy winter wonderlands. And don’t forget your camera when packing for your trip. Did we miss your favorite winter scene? Comment below with your favorite winter wonderland location! We know the world is full of them.